Devanadi isn’t your typical yoga studio. Rather than have traditional Drop-In Classes, we offer monthly workshops with Master Teachers who are excited to be back in the classroom setting to offer a class here or there in between their busy training and travel schedules. Consistent attendance reinforces learning, and allows growth as a group with one teacher, as the teacher can take the students farther and deeper over time. This also develops consistency and discipline – both are needed according to the sages and yogic scriptures for success in yoga. We believe this is the best way to embody yoga. When possible, please register in advance. We have a variety of renters affiliated with Devanadi Yoga using our sacred space for their own yoga classes. To learn more about schedule, pricing, or sign up for a class, please click the teacher’s name to contact the teacher directly, unless noted. Tanya’s Workshop Series are full of content to help you not only deepen your asana practice but further your study of yoga philosophy, tantra, meditation and yoga therapy. Intermediate and up levels. Drop Ins Welcome. 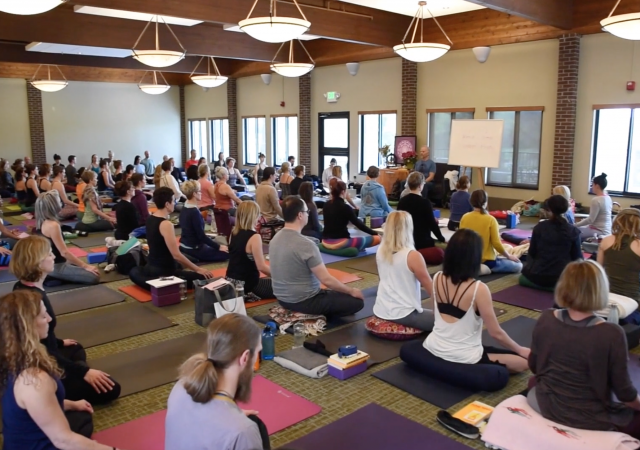 Anna’s classes open, inspire and help all students grow in their practice while enjoying the community of fellow yogis sharing this sacred space. All levels. Lil teaches a gentle practice with a little flow and longer holds describe this class for all ages and all levels. Dreaming the Soul Awake, a six-week workshop series with Chanti! All levels welcome! Laurie teaches the Viniyoga methodology of Yoga. Viniyoga ™ is a comprehensive and authentic transmission of the teachings of yoga including asana, pranayama, bandha, sound, chanting, meditation, personal ritual and study of texts. Viniyoga ™ (prefixes vi and ni plus yoga) is an ancient Sanskrit term that implies differentiation, adaptation, and appropriate application. All levels. Paul is a qualified MBSR (Mindfulness Based Stress Reduction) teacher who has trained through the University of Massachusetts Medical School. This 8 week course helps people examine their lives in terms of health and wellness, stress, pain, anxiety, and ways to be more present. Class consists of formal and informal exercises that develop a mindfulness meditation practice that lasts long after the course ends. Participants also take part in a 1/2 day silent retreat. Please watch the video to learn more about Devanadi and our programs, director, students and more! Introduction for beginning students or students coming back from a hiatus from yoga. Learn the basic poses, alignment plus stretching and strengthening to achieve balance. Ends with mindful breathing and basic meditation. For students familiar with the basic poses, knows when to take a break, and is working on balancing the breath throughout practice. Wider range of poses including intermediate standing poses, beginning inversions, backbends, forward bends and twists. 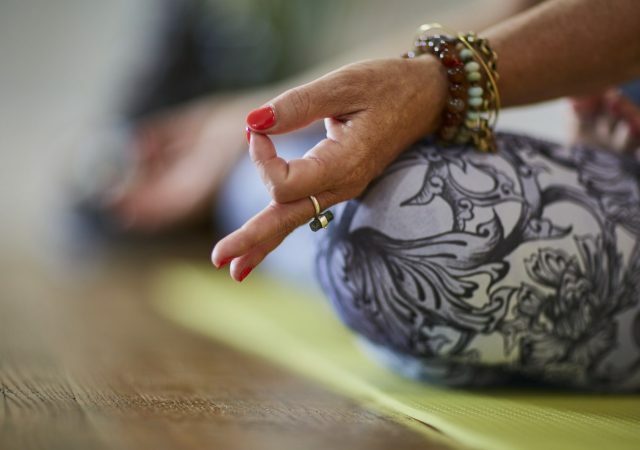 Learn how to bring the benefits of yoga into your daily life including meditation. For students who have taken Intermediate classes for at least one year. In addition to refining familiar poses, variations of the inversions and more challenging backbends and twists will be explored. As understanding of the poses deepens, the inner experience reveals itself.